This is a story taken from The Jungle Book with which many adults are familiar. 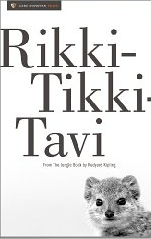 It involves a young boy named Teddy and his family who rescue a mongoose named Riki Tiki-Tavi. This poor creature has nearly drowned near their bungalow in Segowlee. The mongoose is an animal known for its tenacity, and Riki will prove his worth to the family who has adopted him. The reader first learns of Riki’s rescue and the reluctance of Teddy’s mother to keep him. 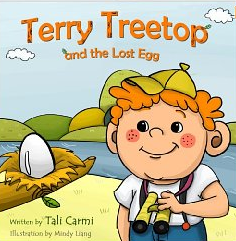 Riki proves a friend to the Tailorbird named Darzee who screams that the cobra snake Nag has stolen an egg from their nest. The snake’s wife Nagaina tries to ambush Riki and nearly kills him. More danger befalls him as a smaller snake named Karait attacks him. The family is impressed with Riki’s bravery. The young boy named Teddy brings Riki everywhere. At night Riki goes exploring and Chuchundra, the muskrat, tells Riki that the snakes plan to kill the humans so that they will have the garden to themselves again. It will be up to the fearless mongoose to protect the family and marshal all the animals of the garden together to defeat these nefarious snakes. Will Riki be successful in rallying this disparate group to protect the family and their habitat? The digital edition was produced by Gere Donovan Press in 2012. 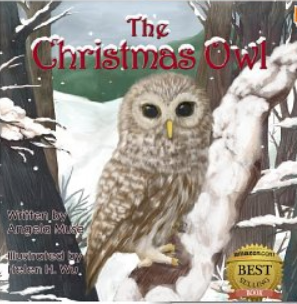 It is also available in hardcover and print, which I would recommend to the fact that it includes the award winning illustrations of Pinkney. The Jungle Book is now in the public domain. 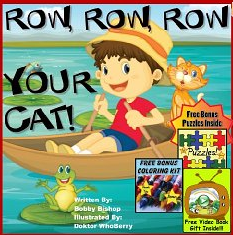 In this edition the original language has been simplified, and I believe that children aged eight and up will not find it too difficult. Of course this does mean that some of the beauty of the Kipling’s writing is sacrificed. The lessons of fearlessness, loyalty and devotion to family as well as the local culture that the story imparts remain treasures to be shared by future generations. Adults should note that Kipling does display some violence in his descriptions. This book is the author’s first short novel. The plot moves along quickly with well developed characters and lots of twists and turns. Vocabulary in the book is not too difficult allowing most beginning chapter readers to access it without too much difficulty. 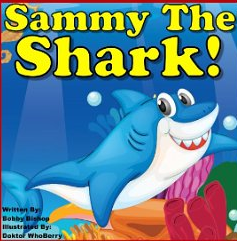 The author provides a comprehensive list of questions which may be used as a guide to developing a discussion and comprehension of the tale. 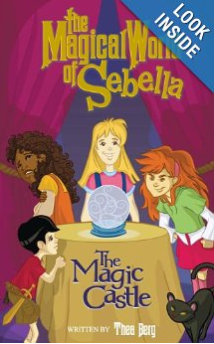 Sebella is a nine year old witch who is part of a “unique” family living in Skullvilla. On this particular rainy day, she is bored so she begs her mother to allow her to see who has just moved across the street. Her mother does not want to go out and get her hair wet, but Sebella manages to use her powers to suddenly end the rain and clear things up quickly. The neighbor turns out to be the witch Eloise, a former friend of her mother. Sebella, the new neighbor’s daughter, Kendall, Sebella’s cousin, Prudence, and Sebella’s, brother, Drac are now playing a board game in the living room. Suddenly, Prudence drops a gargoyle statue and its red laser eyes bore a deep crack in the fireplace wall. So the adventure begins! The children crawl into the tunnel which opens to a castle. Dimitrius, the Lord of the Castle, informs them they must get rid of the Shadows, slay the dragons and eliminate the Villainous Mentalist (who used to own Sebella’s house). Certainly a tall order! Though it seems an insurmountable task, the children are ready and willing to attempt it. Their journey forces them to explore many rooms of the castle. Turns out they receive some unexpected help along the way. Will they succeed in all three tasks and find a way to escape and find their way home? If they are successful, will their lives be changed forever? 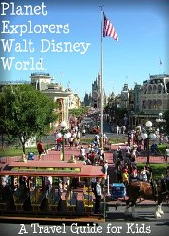 A delightful and exciting read for tweens and teens and/or adults. 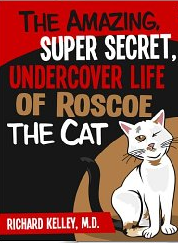 Looking forward to reading more adventures from this new and talented author. If you enjoyed reading this post, please subscribe by clicking on the word Follow or hit the orange RSS feed button in the upper right hand corner of the page.